Bouncing Bellies & Flashing Fingers: February Tulsa! 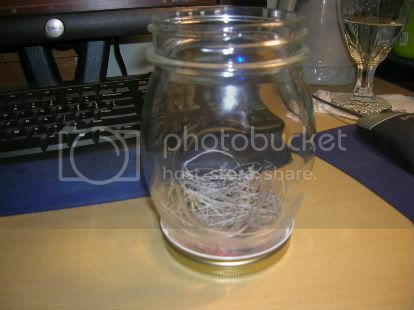 If it hadn't been for people posting pictues of their TULSA jars, I would have completely forgotten about it. The top layer is all silver due to Beware of Zombies, but soon I hope to add a layer of white to it.